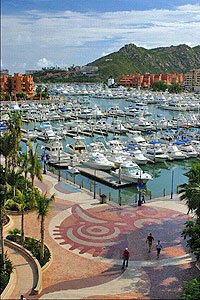 Let’s take a look at the past and present of beautiful Los Cabos. Your adventure begins with an excursion aboard a glass bottom boat, in which we will visit the famous El Arco (The Arch), Land’s End, a Seal Lion Colony and the popular "Lover's Beach". We will also get to explore the marina area and learn about Pirates, Missionaries, Indians and the Colonization period. After that, we’re off to the Tourist Corridor; here, we’ll witness the best views of the ocean, surrounding mountains, and the desert. We will also stop at a famous glass blowing factory, where you will see the process of glass-making and have the opportunity to shop for souvenirs. Finally, we will visit the charming colonial city of San Jose del Cabo where we’ll enjoy a delicious Mexican meal at one of the most popular local restaurants. After lunch, we will admire historic art and architecture by visiting the lovely town square, historic mission and the gallery district. At the gallery district, you will find a number of artisans from 13 different Mexican states. You will also have free time to explore the town on your own, shop around and meet the locals. We will take you back to your doorstep safely! Cruise Passengers: Yes! This tour makes a great shore excursion. Transportation from pier is included, very convenient! Monday through Friday at 9:30AM. Detailed Directions will accompany your reservation. All Ages Welcome. Kids prices apply to ages 5-11. Kids under 5 years are free. Like "Cabo San Lucas Coastal Highlights" - Only Better! See also our Private Version of this tour.